The objective of this business guide is to give an overview of the business plan, some thought process and considerations in the compilation thereof and to explain how Taxco can assist with the Business Plan. Every business should have a business plan. It is key to the success in starting a business and a good management tool to guide and keep management focused on business objectives. If you need finance, a bank manager will only lend money if your business has a sensible plan. Your plan should provide a thorough examination of the way in which the business will commence and develop. It should describe the business, product or service, market, mode of operation, capital requirements and projected financial results. It is truly the key to success. A description of the business, your objectives for it and how you plan to achieve them. Include details of the background to your business for example, how the idea started, how long you have been developing the business idea and the work you have carried out to date, including contracts that have been negotiated or signed. All your contact, identity and residency details. The type of entity chosen and the reasons therefore. Include any “Association” agreements, if any. Details of the qualifications and experience you possess and your key personnel and any external consultants. You should highlight the skills and expertise that these people have and outline how you intend to deal with any weaknesses. Discuss the recruitment of staff and training. Describe the proposed site/location and include any plans of the factory or offices, the equipment requirements, any special attributes and the reason why you have chosen the site. Include lease contracts. Details of your product or service and your unique selling point. This is exactly what its name suggests, something that the competition does not offer. You should also outline your pricing policy, mark-ups and discounts. You will need to include information on your proposed operating practices, e.g. the method of sales on cash or credit, and the terms thereof and production overview, purchasing, stockholding, order and delivery periods and how you will conform with legislation applicable on the business. The plan should include at least a annual overview of your projected financial performance and the assumptions made in your projections. This part of the plan converts what you have already said about the business into numbers. It will include a monthly or annual cash flow forecast which shows how much money you expect to flow in and out of the business as well as profit and loss predictions and a balance sheet. Detailed financial forecasts will normally be included as an appendix to the plan. As financial advisers we are particularly well placed to help with this part of the plan, including details of the tax benefits and special deductions available for the venture. The cash flow forecast referred to above will show how much finance your business needs. The plan should state how much finance you want and in what form. In many cases a combination of bonds, loans, leases and hire purchase agreements are utilised. You should also say what the finance will be used for and show that you will have the resources to make the necessary repayments. You may also give details of any security you can offer to financiers, including equipment and debtors. 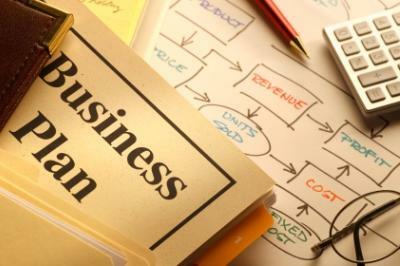 The business plan has a clear table of contents so that readers can see at a glance what you have included in the plan. The table of contents also makes it easier for readers to find specific sections or information. The executive summary is concise and contains the pertinent information you have addressed in the body of the business plan. Putting together a business plan is often seen as a once-off exercise undertaken when a new business is starting up. However the plan should be updated on a regular basis. It can then be used as a tool against which performance can be monitored and measured as part of the corporate planning process. There is much merit in this as used properly it keeps the business focused on objectives and inspires a discipline to achieve them. Taxco looks forward with you to help you put together your best possible plan for the future. For more details, Contact Us now to discuss how we can assist you to design, compile, update, review and assess your Business Plan.